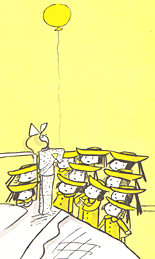 Up until now, just about everything I knew about appendicitis I learned from reading Madeline as a child. Which is to say, at the end of it, you get a sweet scar and everyone is way jealous of you. But, now I have actually done it, so I can give you a full an grisly report. 1) sometimes, as a grown woman, it’s a really good idea to go to the nurse because of a stomach ache. And, you definitely get out of work, which is better than getting out of school in my opinion. No lollipops so far though. Or Ice Cream. 2) In comparison to having a kidney removed, everything is much faster. The kidney donation process took over 2 years, dozens of tests and interviews, several days at the hospital and a month of recovery time. With this surgery, my stomach started hurting at noon, the nurse ordered me to the ER at 5pm, and my appendix was out by midnight. I was home the next day. 3) You don’t get nearly as many brownie points for donating a appendix to the hazardous materials bin as you do donating a kidney to your brother. 4) you do have to tell every medical professional who walks in your hospital room about the kidney though, so you get to remember in full detail all the brownie points you have. 5) In my post about donating the kidney, I talked about how truly bizarre High Contrast CT scans are. The high contrast dye they use is apparently hard on kidneys and I only have one of those now, so this time they had to use a low contrast version to look at my appendix. It was like a low budget indy film of my organs. Also, low contrast stuff can’t be injected for some reason. It has to be inserted into… a hole. Still a bizarre experience. 6) The scar. So far, it is not a cute little U shape like Madeline would have me believe. Yes, it is a little u shape, like my belly button is a minature smiling cyclops. But there is also a gigantic bruise on my entire lower abdomen. I can only assume yanking an organ out from a tiny hole does that. But looking at it makes me feel sick to the stomach, which is of course how I started this whole ordeal. Nice full circle.